At 2763 Blackburn Bridge Road in Lincolnton, North Carolina. 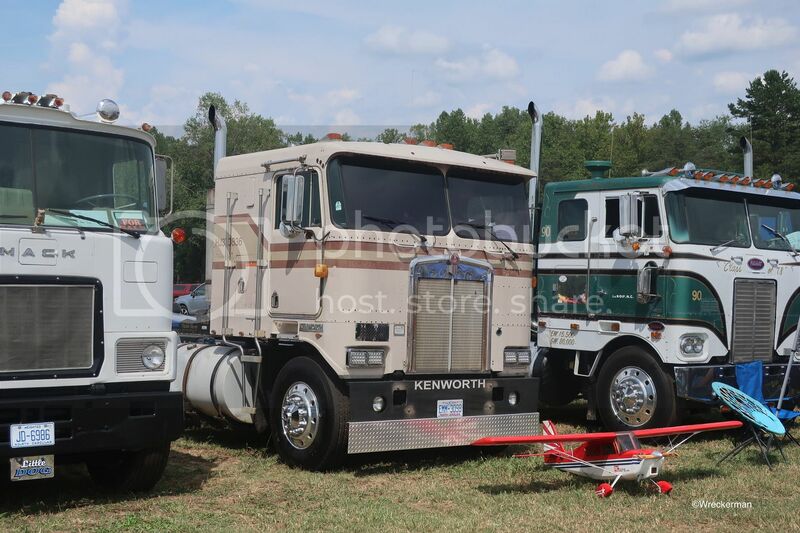 They'll have "Hollywood Hill" with the "Duel" Peterbilt, the Convoy Mack, Movin On Kenworth, the BJ & the Bear Kenworth, and the Smokey and the Bandit Kenworth. 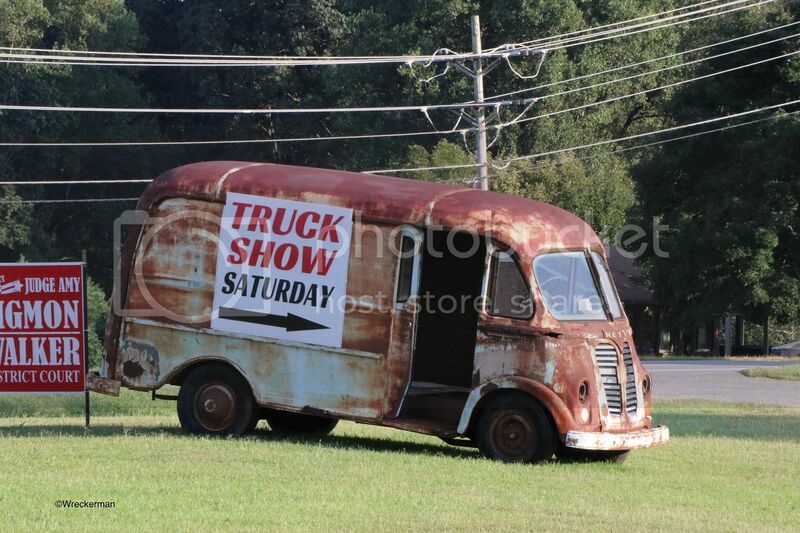 I've never been, but it's supposed to be a really big show with lots of cool rigs. 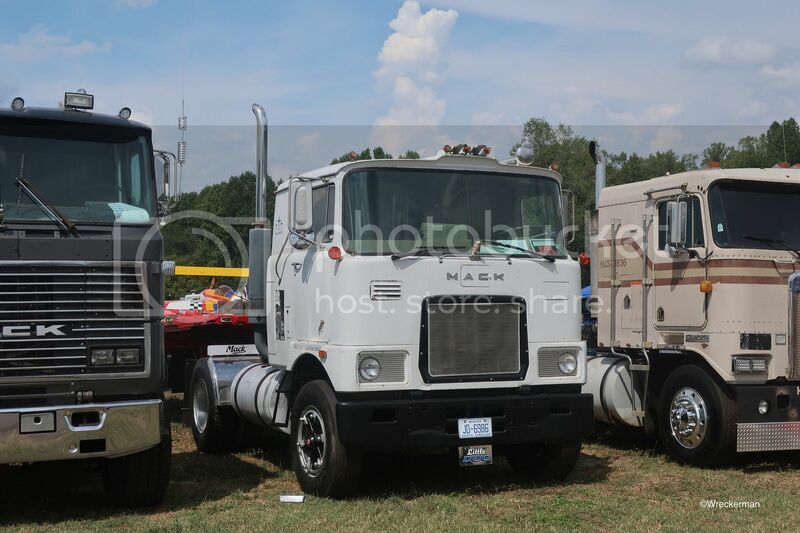 We're planning on taking my Mack and our 359 wrecker. Nice, have fun! 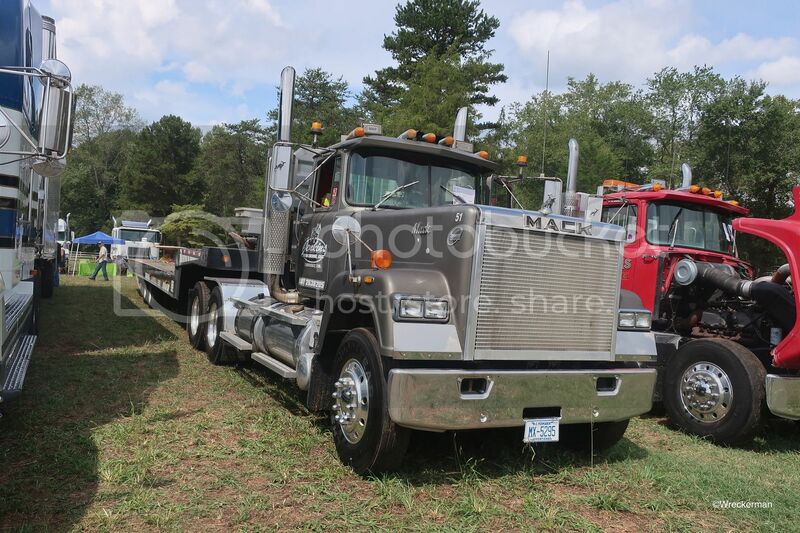 Hope to see some good shots, the BJ and the Bear truck is always neat as is the Movin' On and the Smokey KW. First, let me suggest that if any fellow Hanksters are ever able to attend this show, do it! Such great rigs and the location is absolutely beautiful, truly a top notch experience. I'm definitely looking forward to the next one! *I apologize in advance for not knowing what model some rigs are, but I should be correct on most of the makes. First, a sign of things to come. LOL. 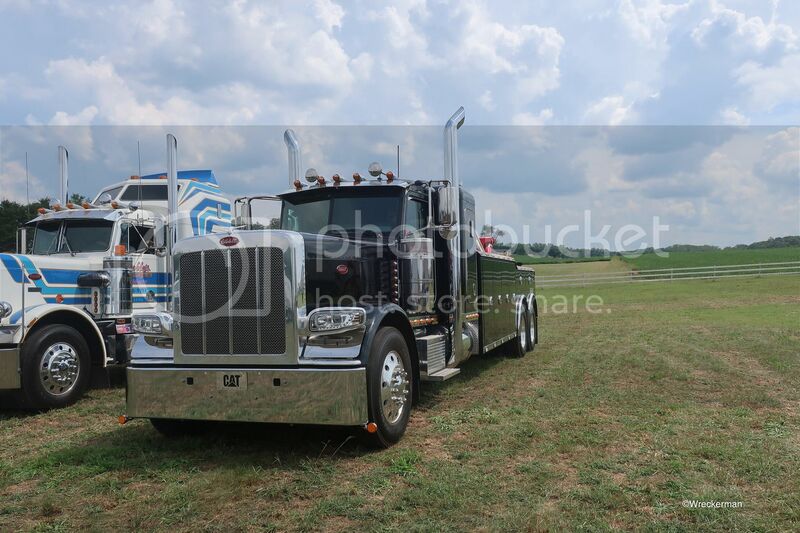 A slick Peterbilt 359 (thanks to partsman for the correction!) with an equally slick trailer. A Freightliner Cascadia for Wal-Mart pulling a "Blind Spots" trailer. 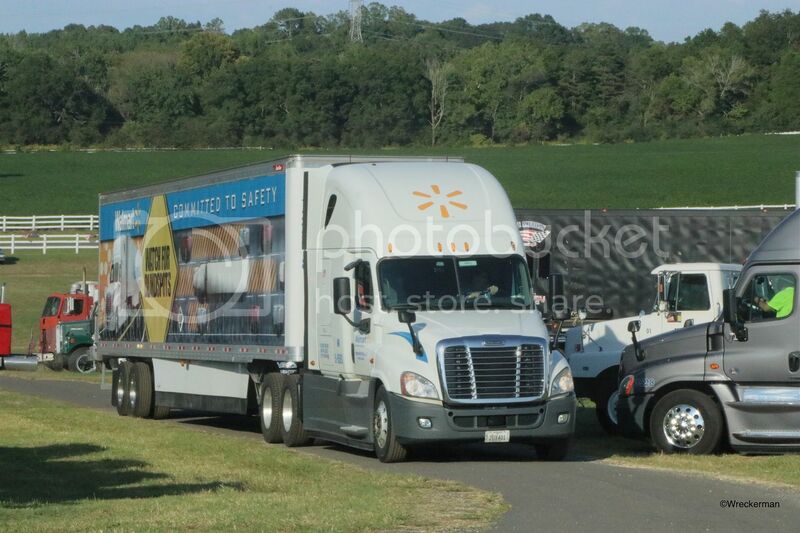 A cool addition to the show, and a cool trailer to help spread blind spot awareness, thanks Wal-Mart. A cool Autocar from the Pumpkin Center Volunteer Fire Department. 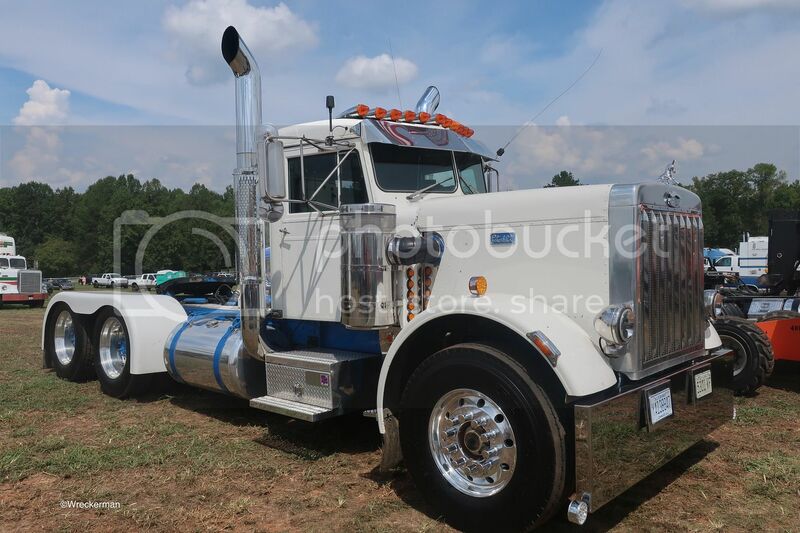 A nice Peterbilt 379 for BPW Transport from Taylorsville, North Carolina. 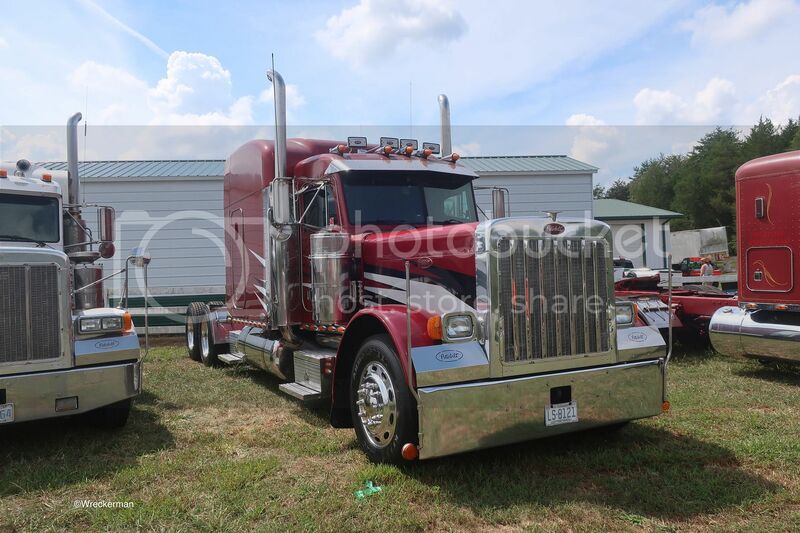 Another nice Peterbilt 379 for BPW, this one a daycab. 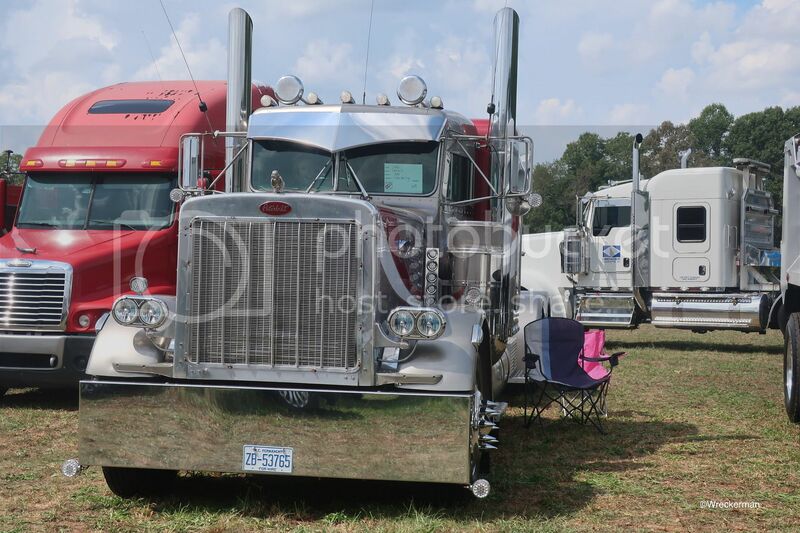 A cool Peterbilt from the early 300 series. 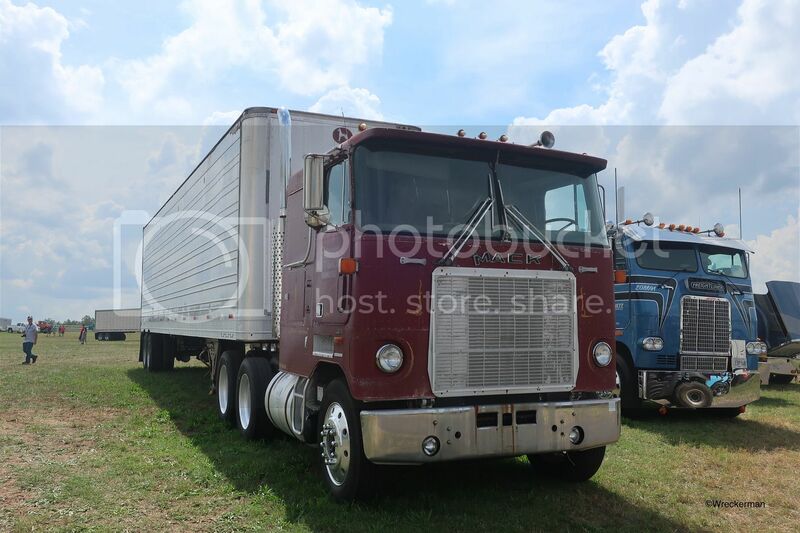 A cool Freightliner for the long defunct Consolidated Freightways. 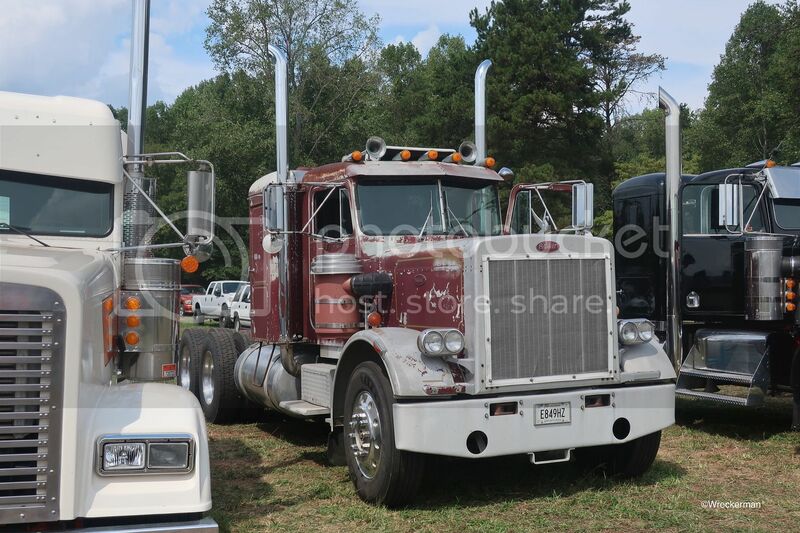 A nice Peterbilt 352 that needs a new bumper. 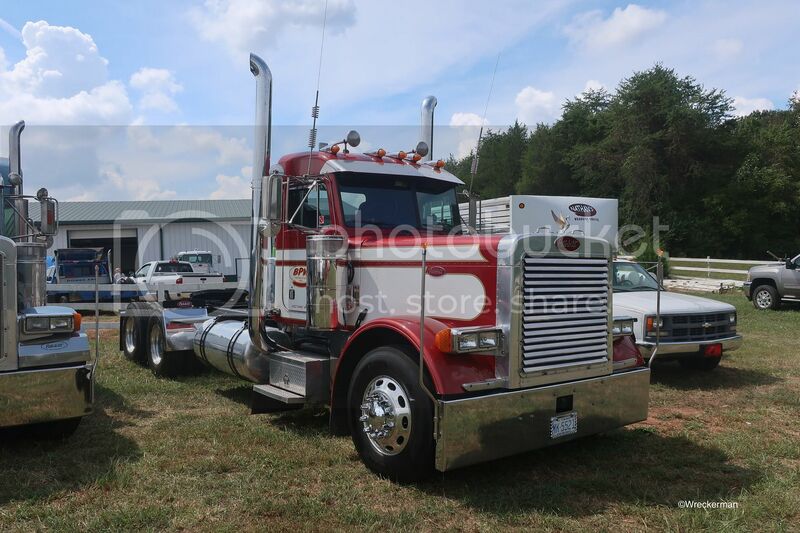 A very nice Freightliner FLA.
A nice Freightliner FLD for Piggyback Service from Charlotte, North Carolina. 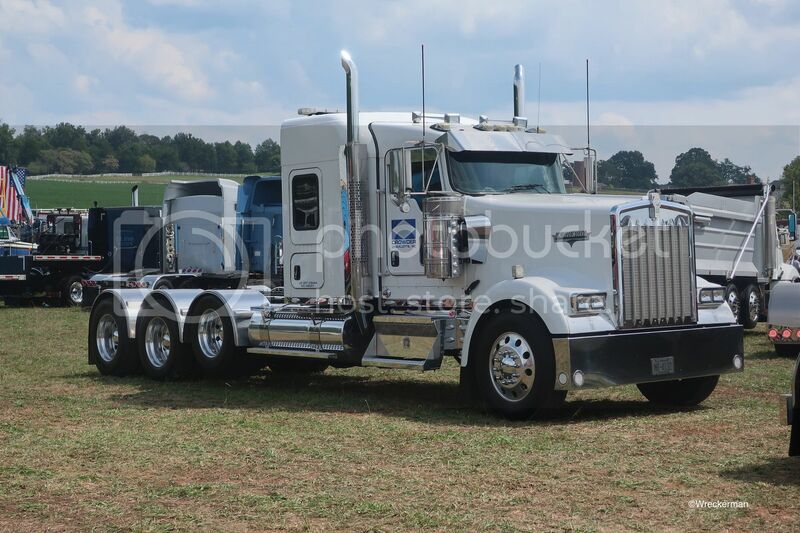 A sharp Kenworth W900L for Crowder Construction from Charlotte, North Carolina. The CSE Ford just looks so cool. Charlie, I totally agree, I'm a Ford guy all the way and that's definitely a cool rig. 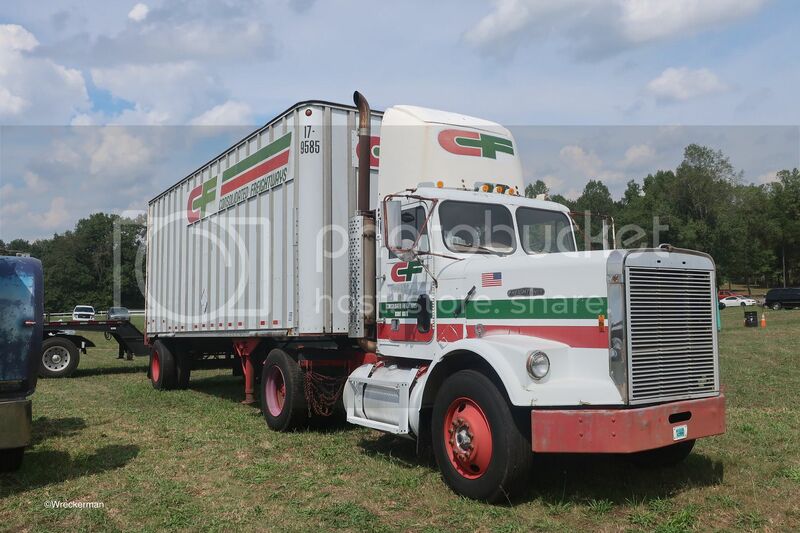 First, an awesome White Freightliner for the long defunct Carolina Freight Carriers. 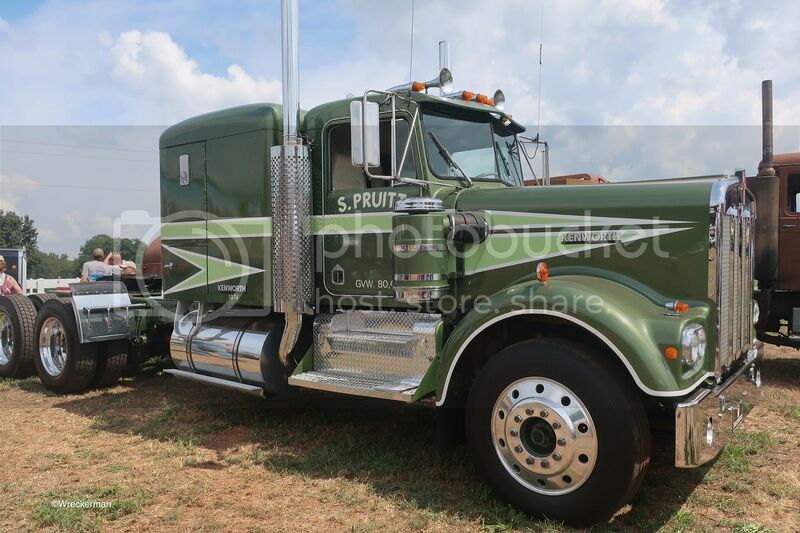 A sharp Peterbilt 379 for K.W. Alley Transportation from Denver, North Carolina. 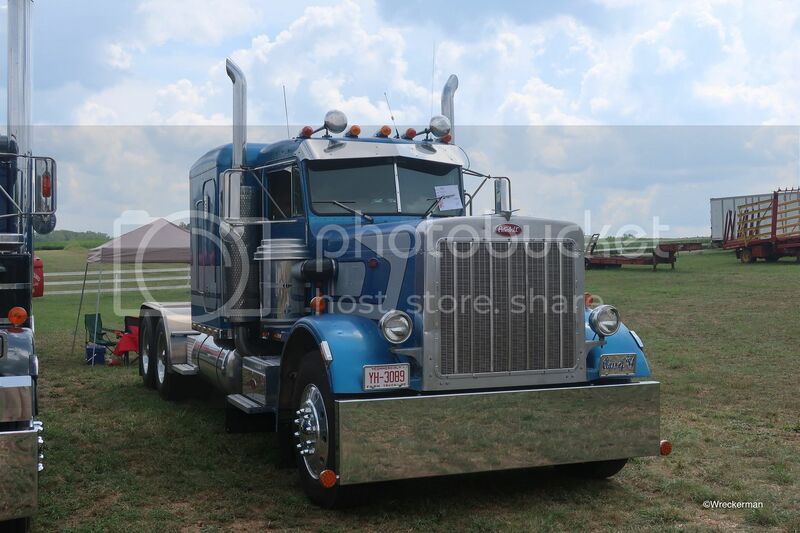 A very nice 1974 Peterbilt 359. 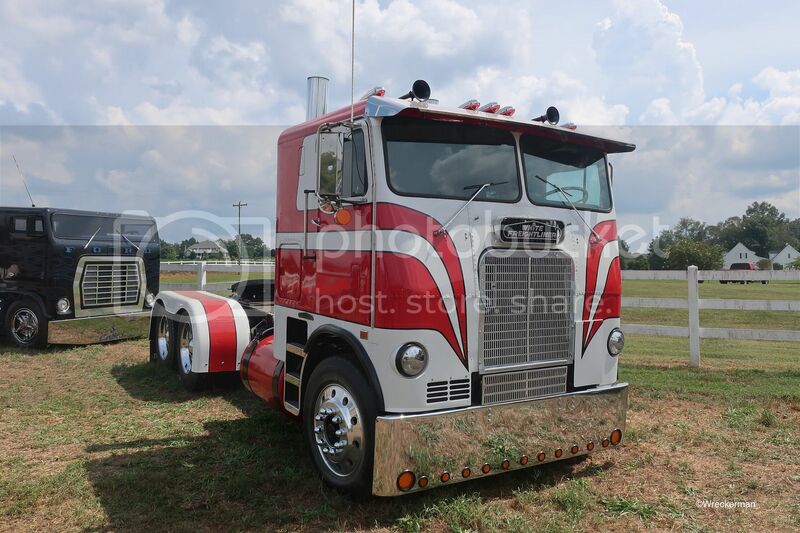 A very cool Freightliner Classic with a custom hood with Coronado headlights. 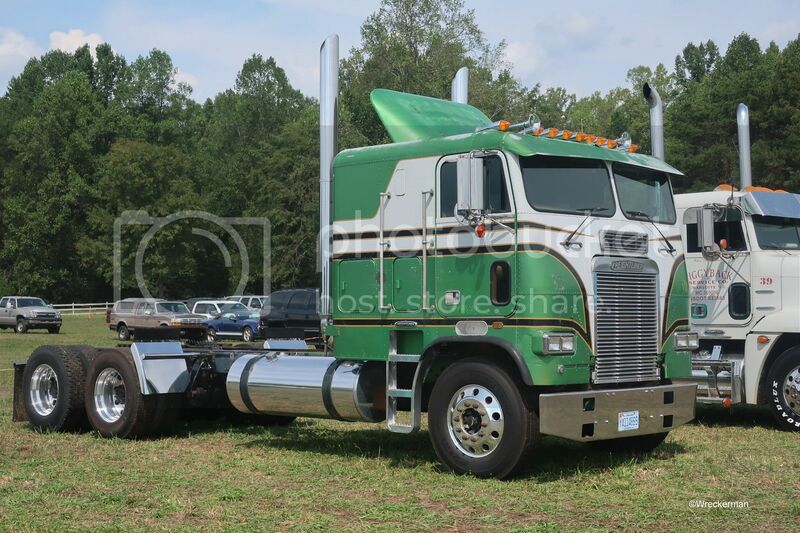 Another really cool Freightliner Classic. 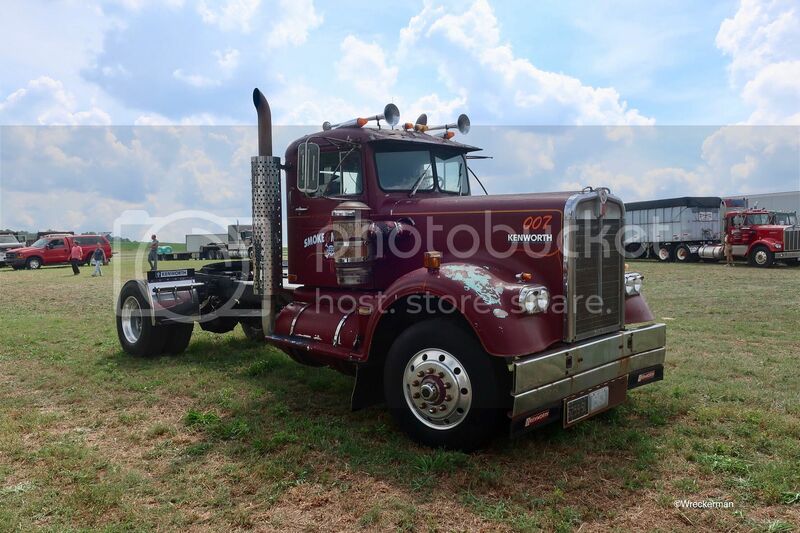 A cool Peterbilt 359 that looks kinda rough while a work in progress now, but definitely has the bones of what can be a super nice rig. 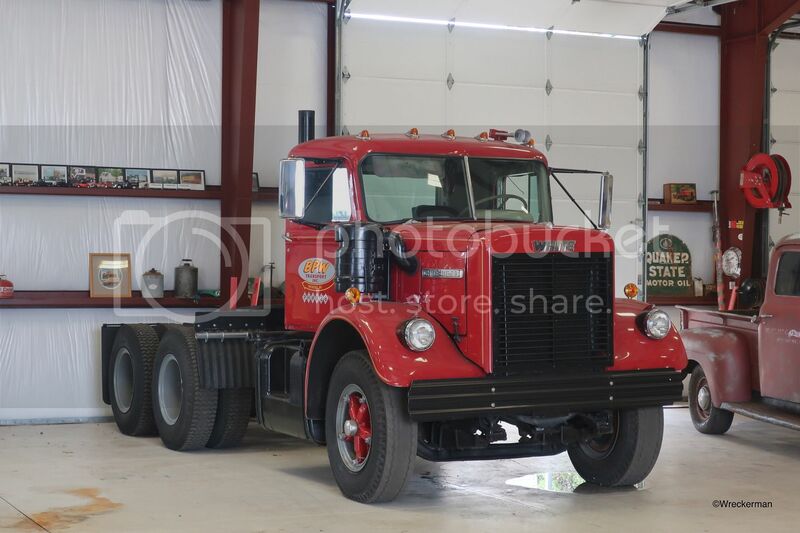 A nice Mack C600 for the now gone Hennis Freight Lines. 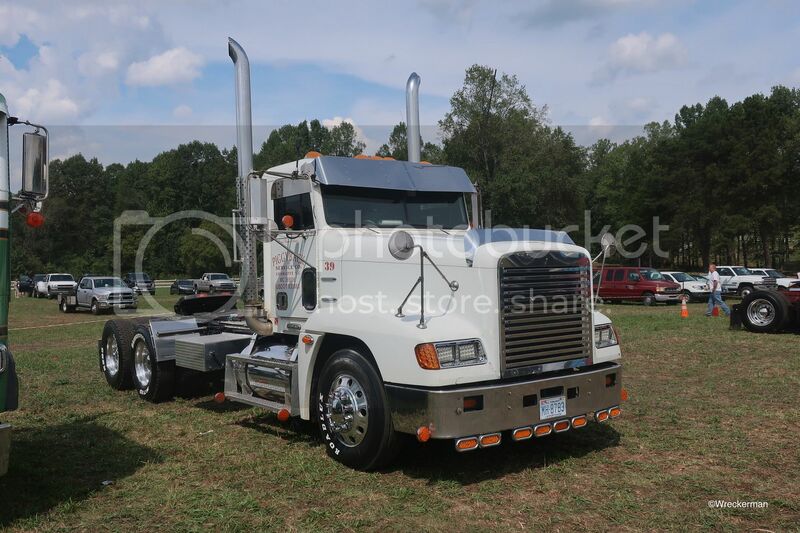 A cool Mack Superliner for Dean Jenkins Trucking from Fairview, North Carolina. 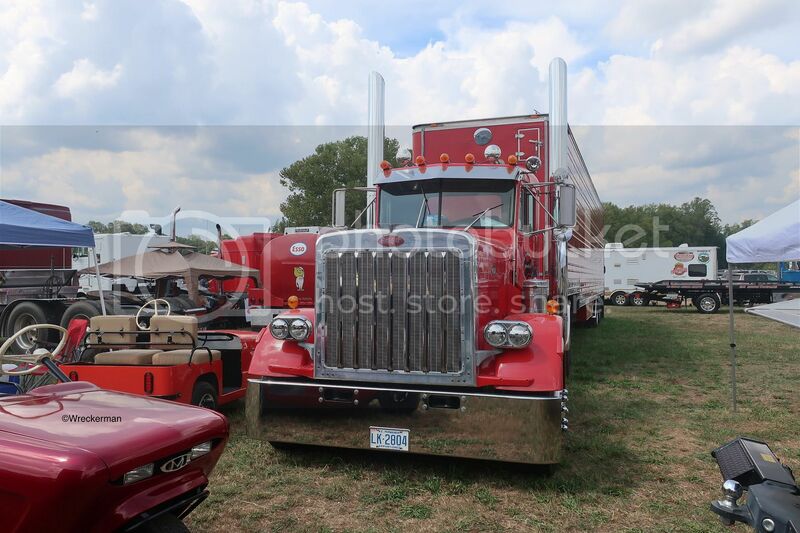 An extremely sharp 1986 Peterbilt 359. 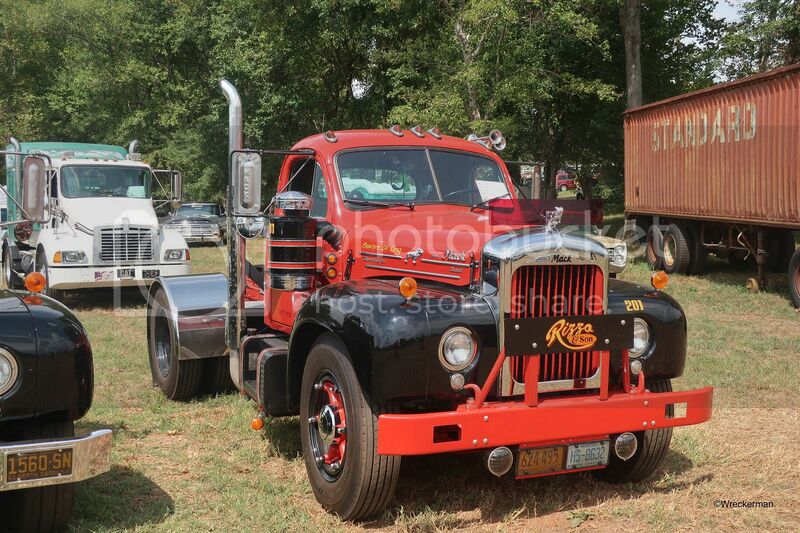 A sharp early Peterbilt 359. 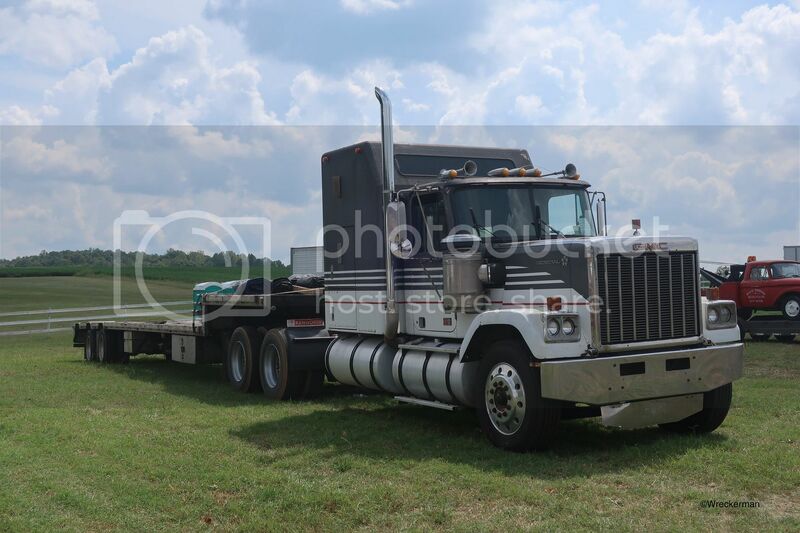 A nice Western Star 5864 for JR Enterprises from Vale, North Carolina. 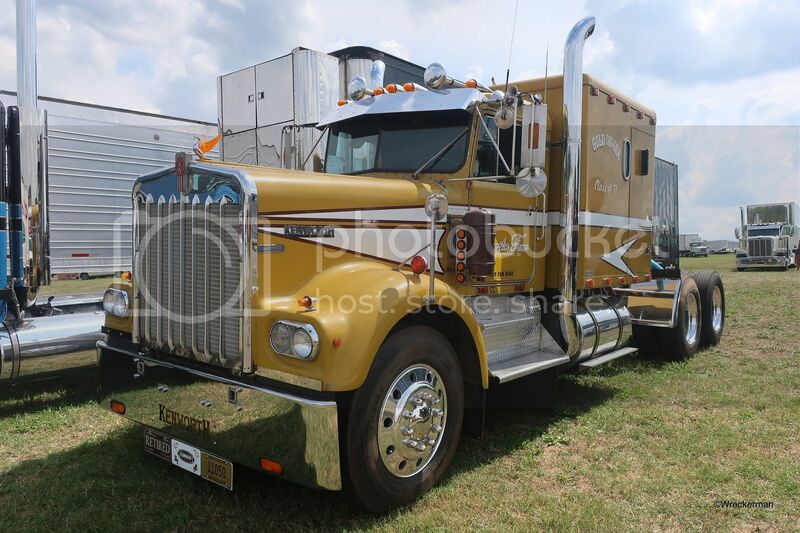 The "Gold Digger", a sharp 1971 Kenworth W900A. 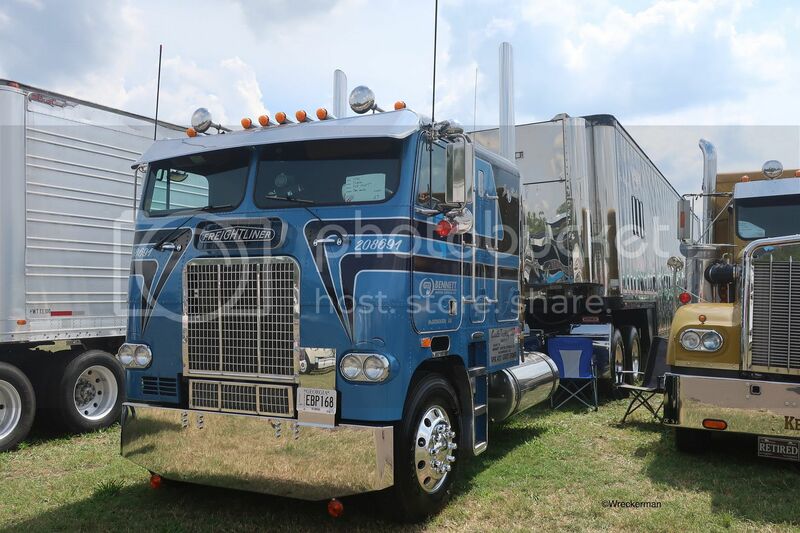 An extremely sharp 1982 Freightliner FLA for Cadle Trucking from Augusta, Georgia that's leased to Bennett Motor Express from McDonough, Georgia. This was one of my favorite rigs at the show, it's just super nice. 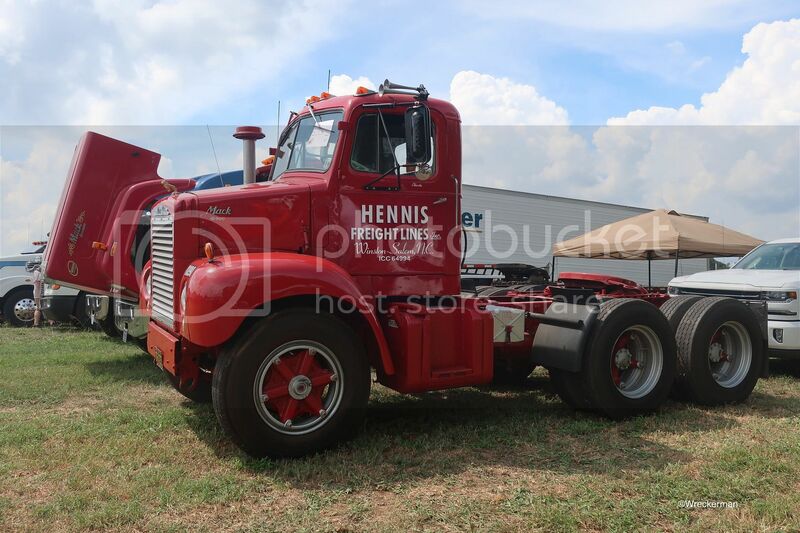 Love, love, love that Hennis Mack. Don`t see many of them anymore. 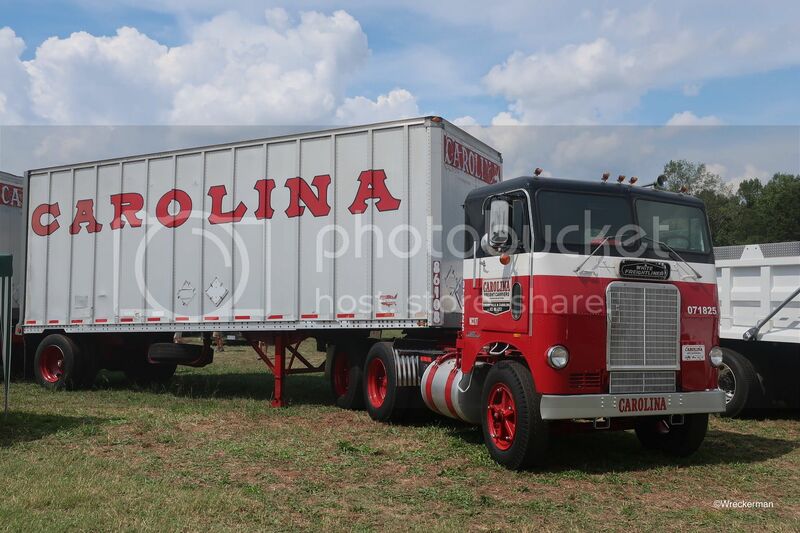 I'll take the Carolina cabover thank you. Great stuff Wreckerman, I'll have to make it down there someday. 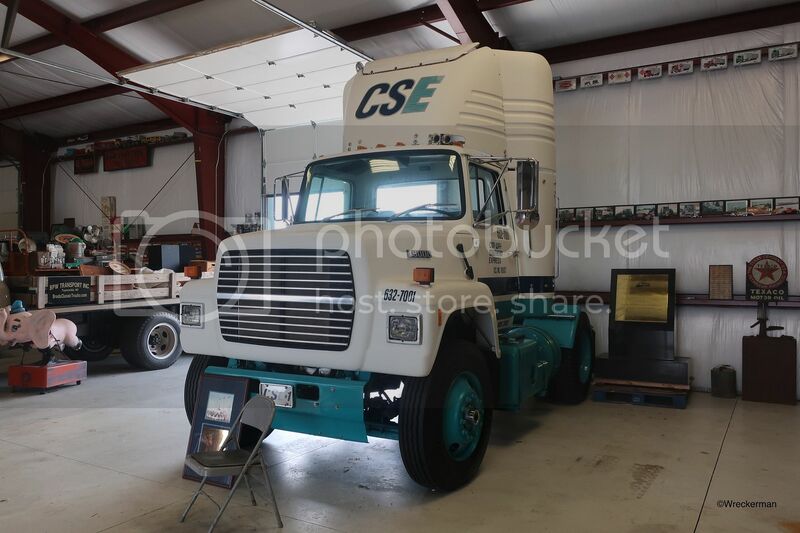 Would love to see the FLC for CF and the White-Freightliner Carolina COE someday, both are really cool. The FLA working for Bennett Motor Express is super sharp too. Also the Pete at the top in the first set is a 359. Easy tell is the wipers, on the 379 the wipers are offset. Wreckerman - Great show coverage! Looks like a great show for sure. Here's another batch, with quite a few more to go. 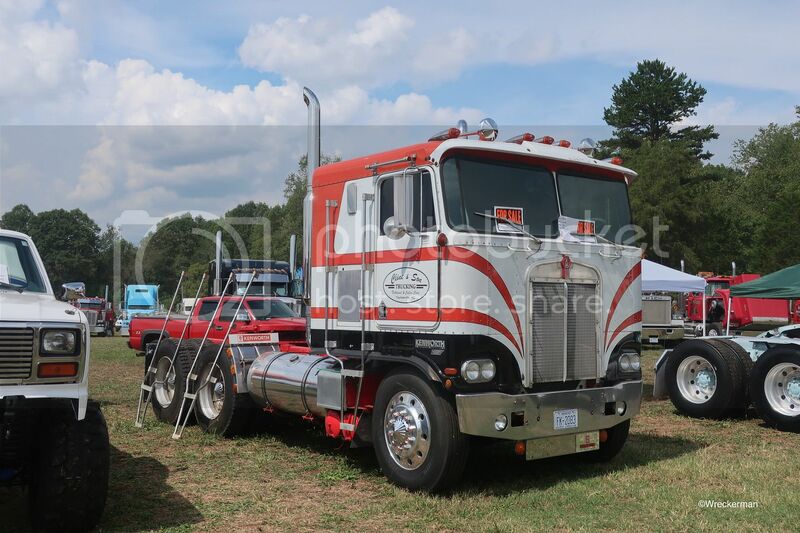 First, a cool Mack Cruiseliner. 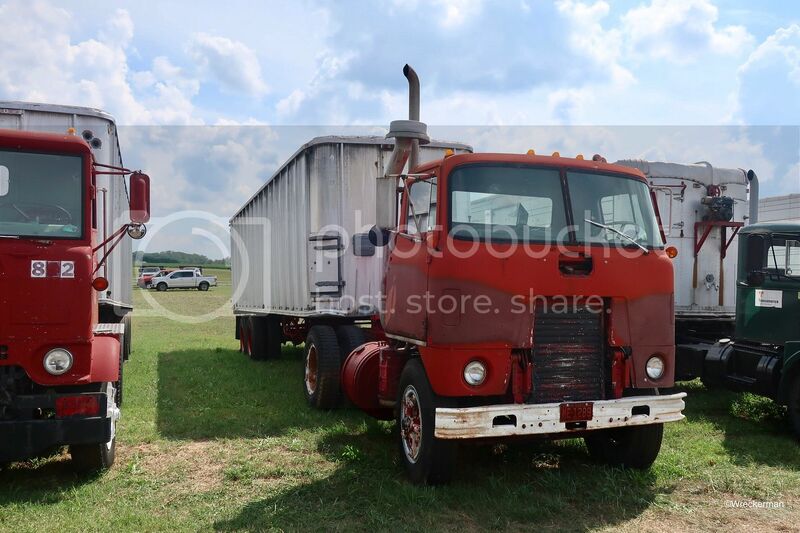 A rough but cool looking Mack H-61T. 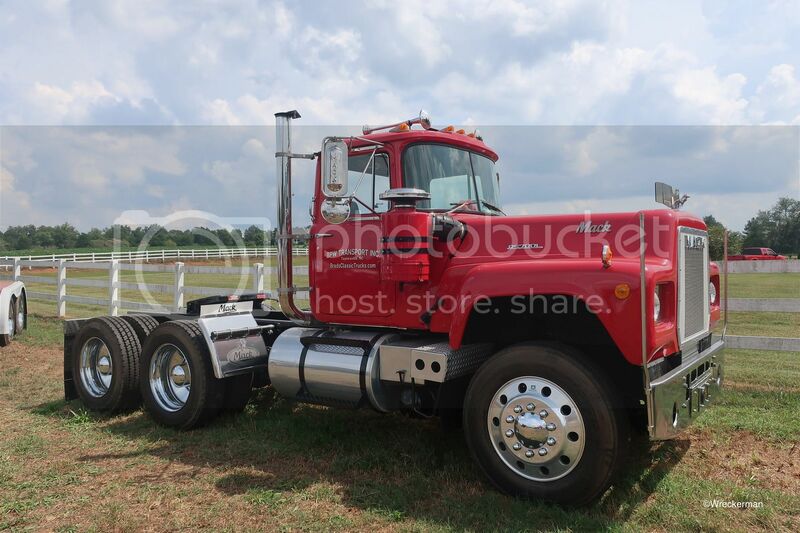 A nice Kenworth K100 that was for sale. 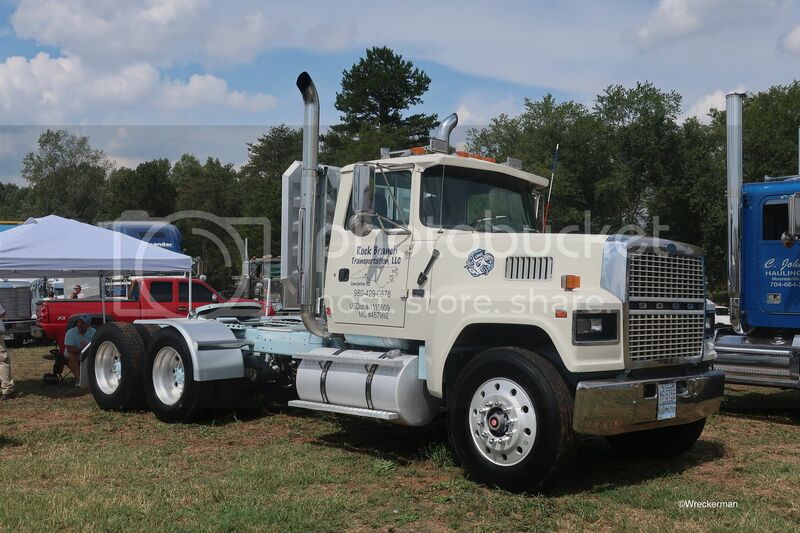 A very nice Ford LTL9000 for Rock Branch Transportation from Charlotte, North Carolina. 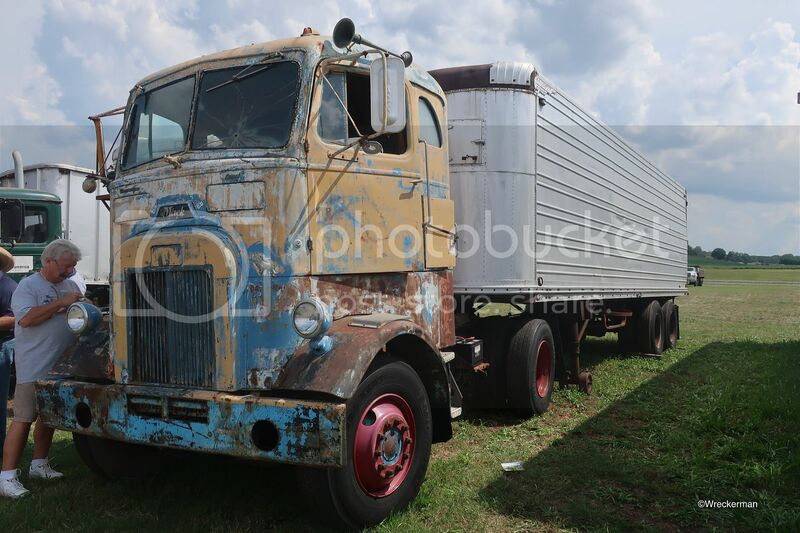 A cool GMC F, better known as a "Crackerbox". 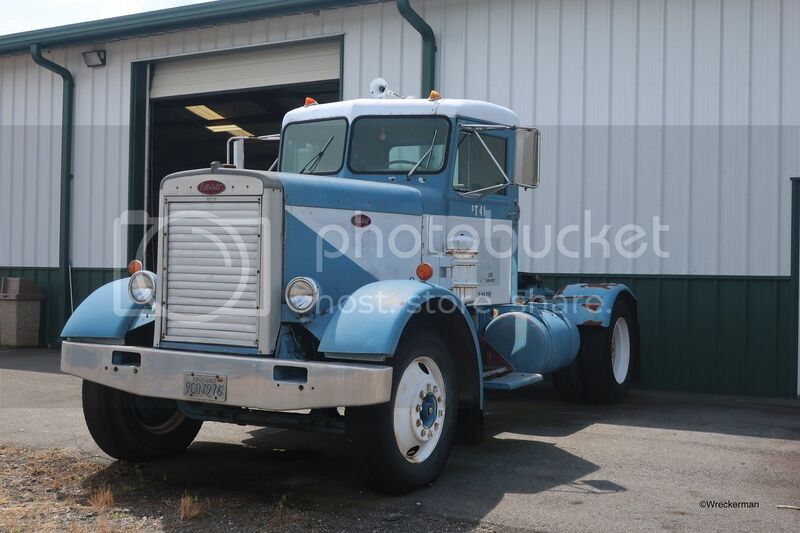 A nice 1961 Mack B-61. 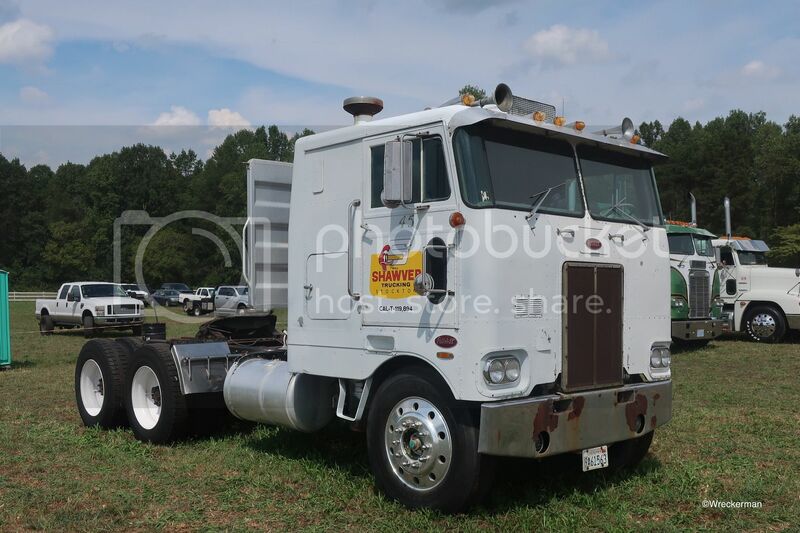 A rough but cool looking Mack B-61. 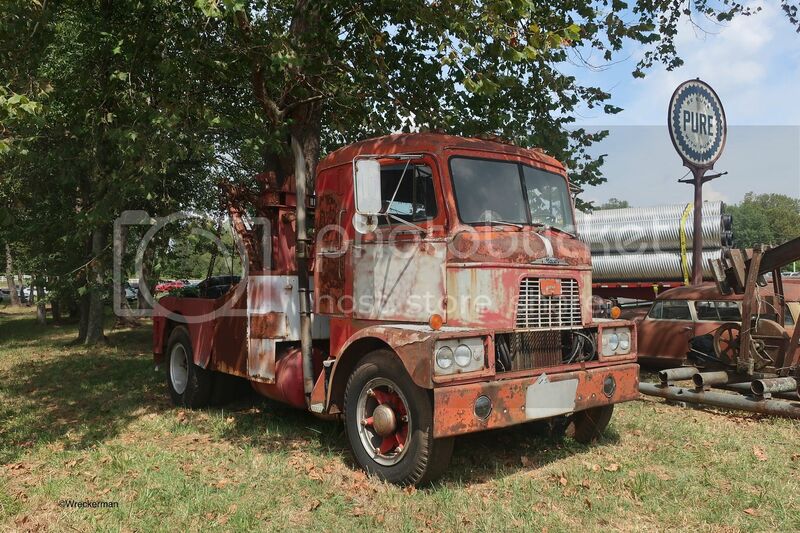 A rough but really cool Mack H-67 wrecker. 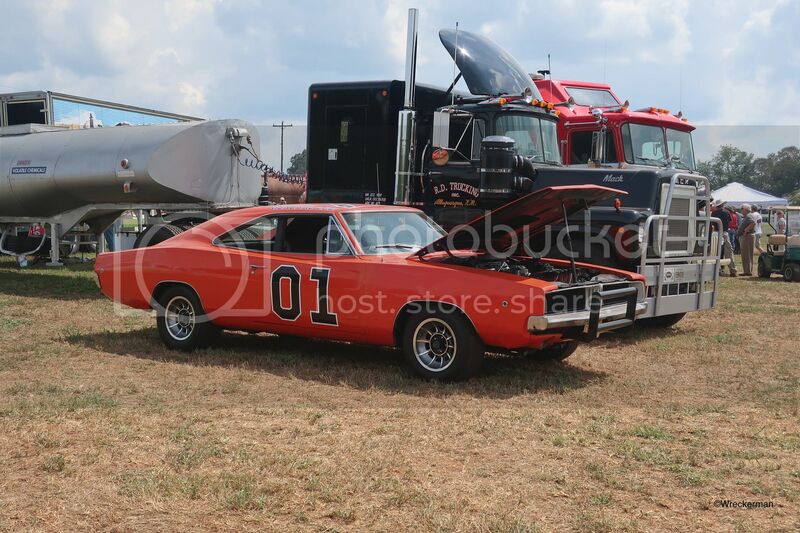 My absolute favorite non-truck item at the show, the famous GENERAL LEE! A 1969 Dodge Charger in beautiful condition. In the words of C.W. McCall, "It looks we got ourselves a CONVOY". 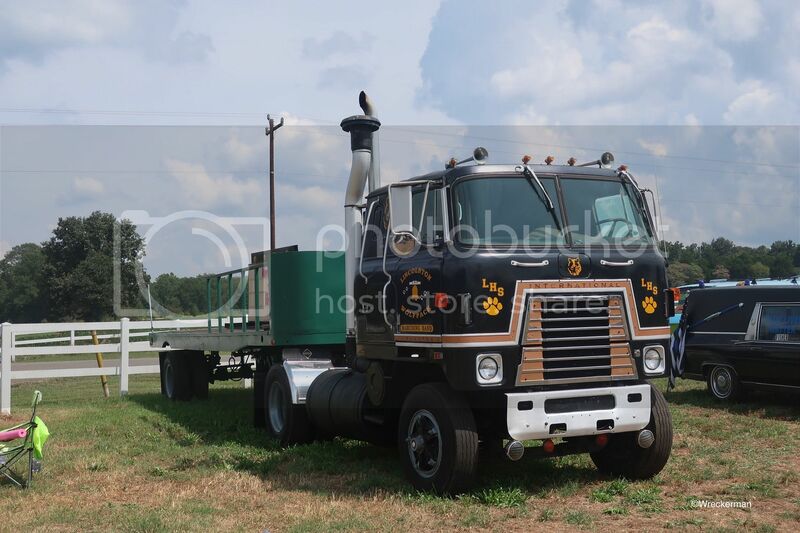 The Rubber Duck's ride, a super cool 1970 Mack RS700. A replica B.J. 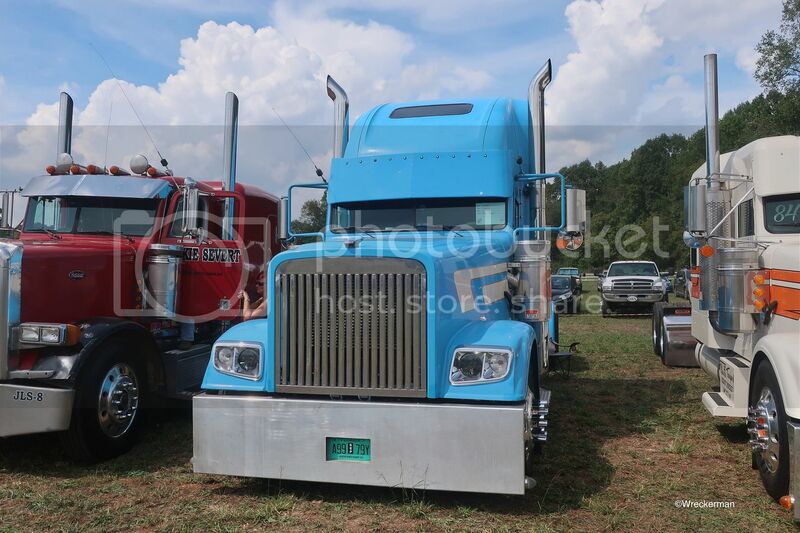 & the Bear Kenworth K100 for On the Run Transportation from Charlotte, North Carolina. 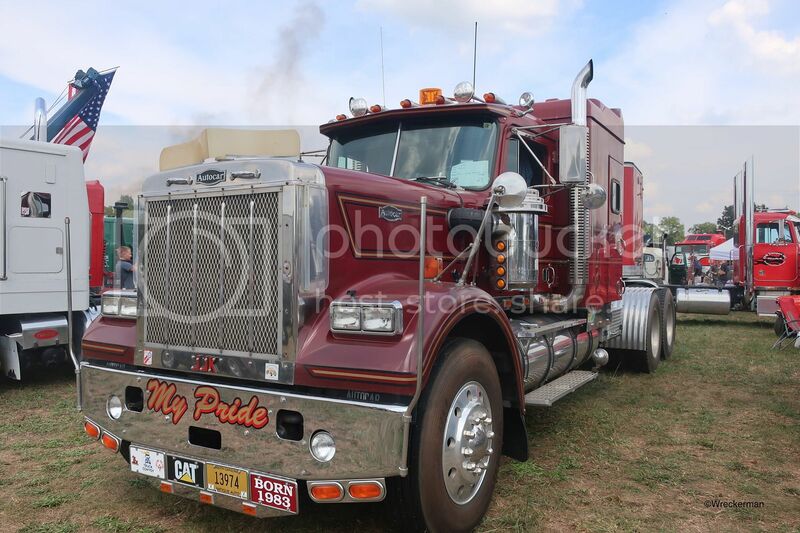 Personally, I think a K100 with an Aerodyne sleeper is the best looking cabover out there. More coming up, particularly more rigs from "Hollywood Hill". Another nice set Wreckerman, the fave for me was the RS700 though. The replica BJ & the Bear K100 was neat too though. 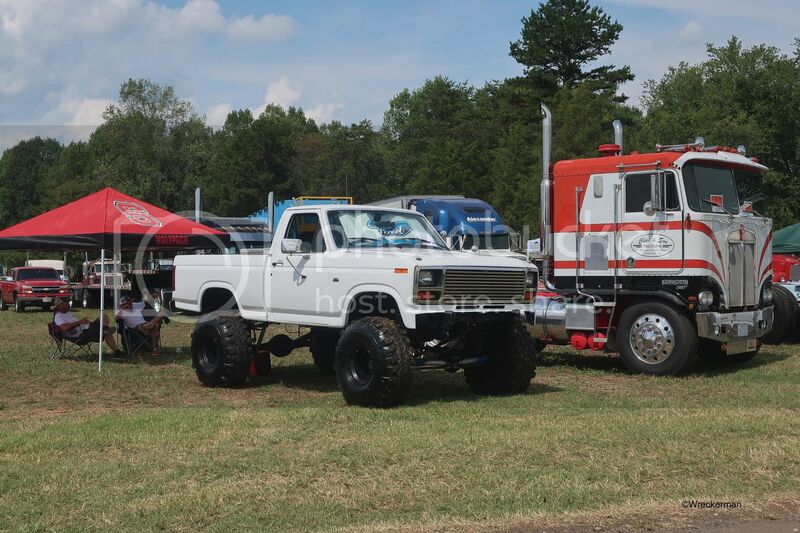 Also I'd be remiss if I didn't point out the 359 at the top (and the unique cream colored diesel RV behind it) were both at the Kenly 95 show I went to earlier this year. 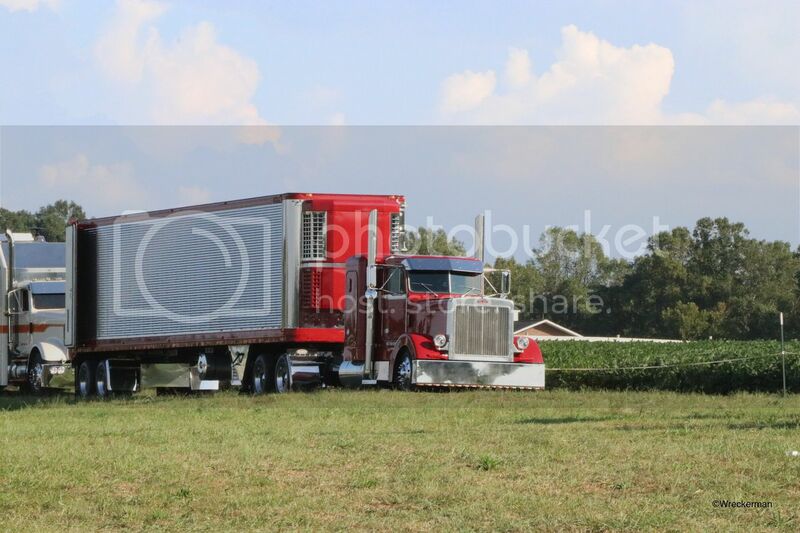 Did you look in the back of the reefer that 359 was pulling? The owner customized it, the front half of the trailer is personal quarters and at the back end he keeps a golf cart/ramps to pull it out with. It was really unique but at the same time I can see it being a hassle to put up with. 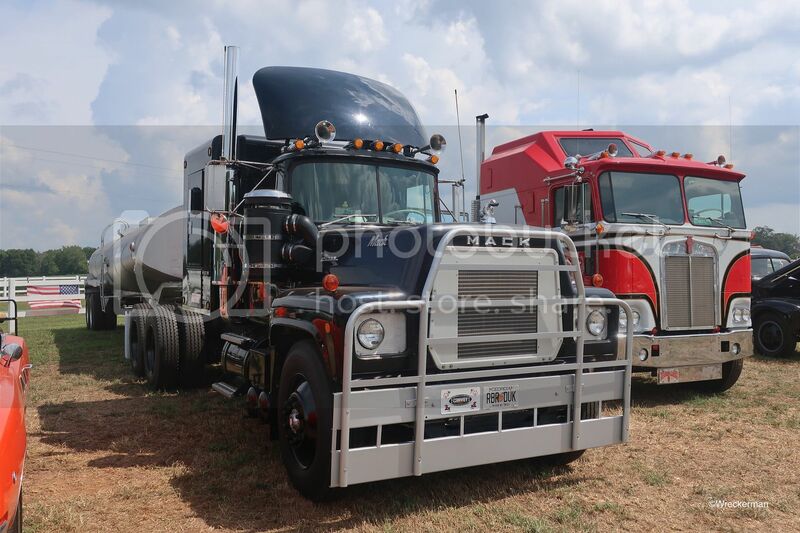 The RS700 was really cool, it was almost surreal seeing all the movie and tv show vehicles there together like that. I heard from someone else at the Show about that trailer, but unfortunately I never made it over to check it or the RV out. 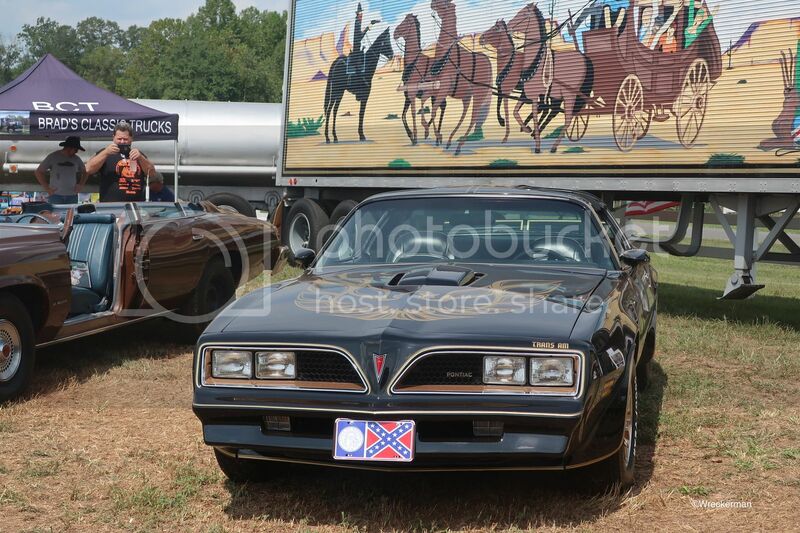 First, a Smokey and the Bandit 1977 Pontiac Trans Am. 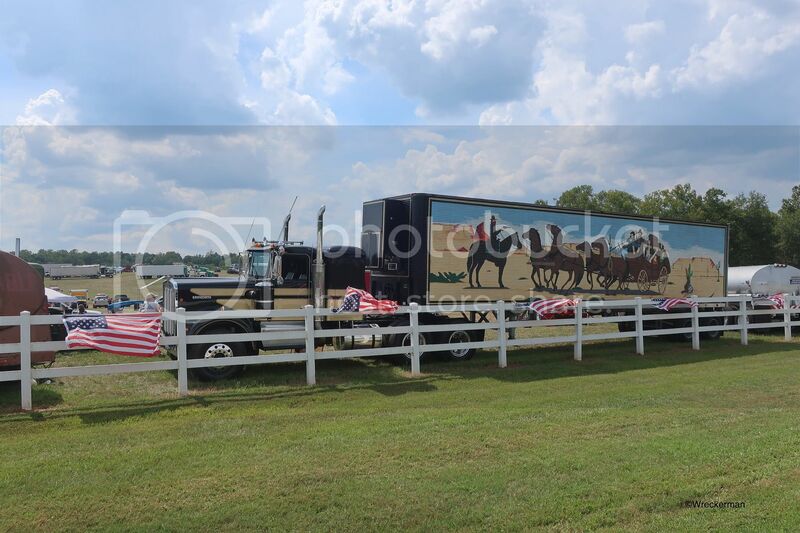 And a Smokey and the Bandit Kenworth W900A. 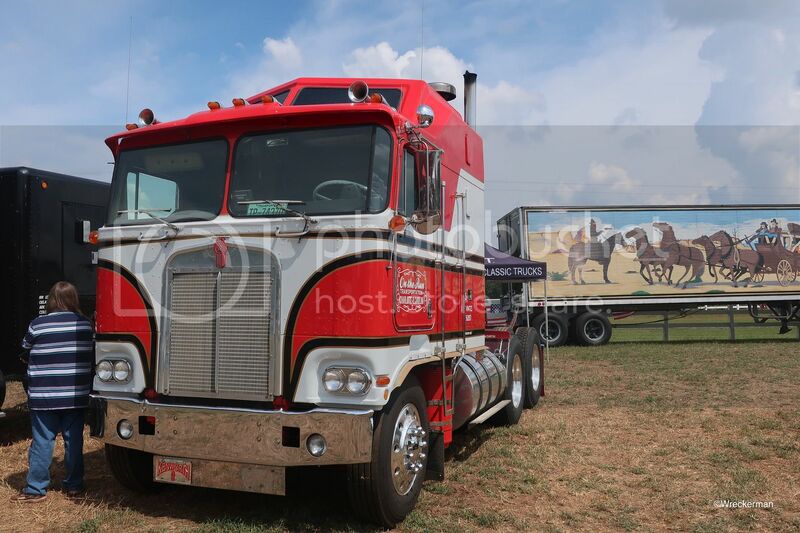 A 1974 Kenworth W900A from the show "Movin' On". 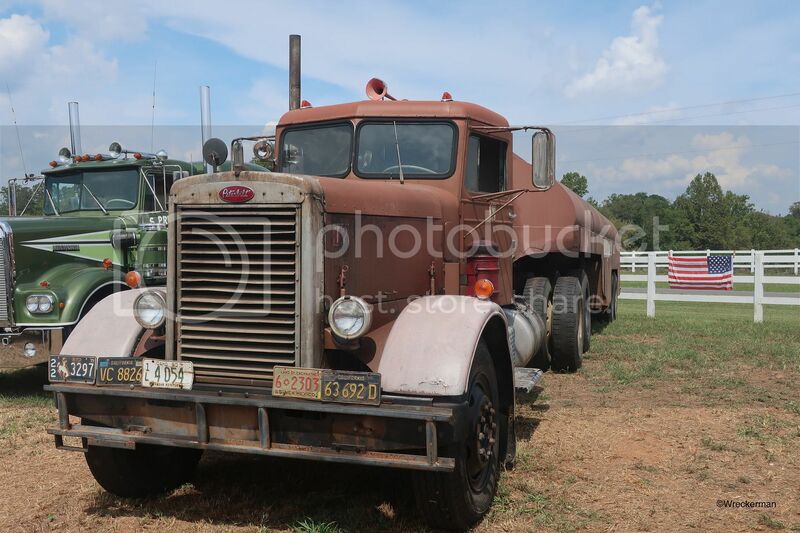 A Peterbilt 281 from the movie "Duel". 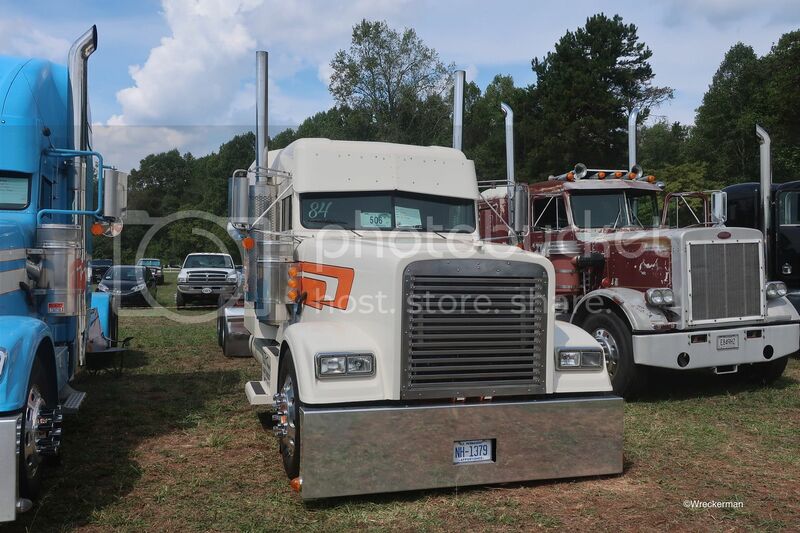 Really cool rig, so tough and mean looking. 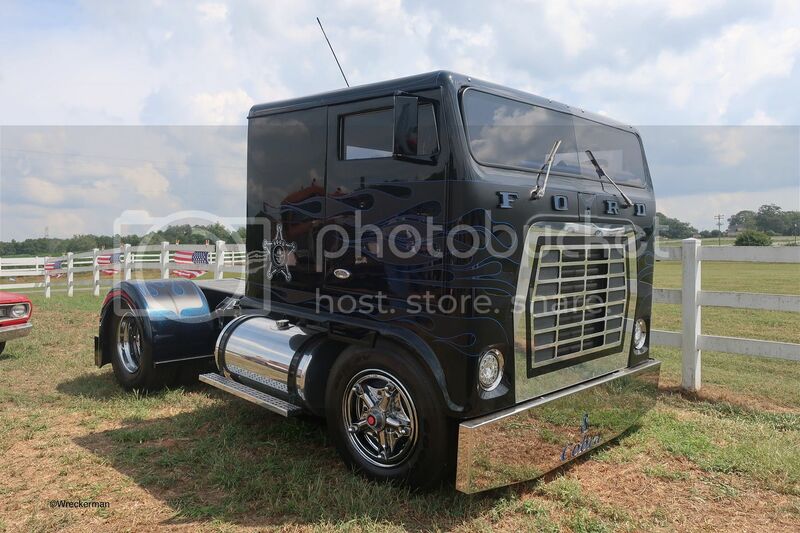 "Low Patrol", a 1974 Ford W9000. 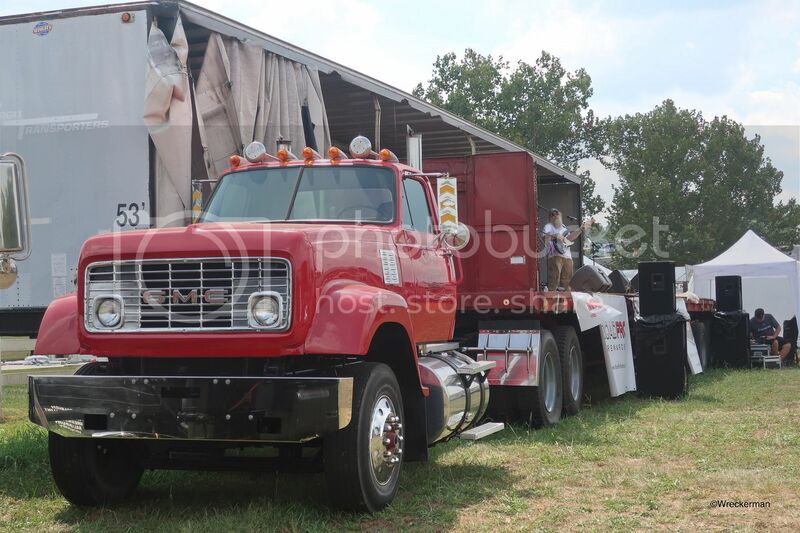 A cool GMC 9500 that also served as the stage for the band. A very sharp 1983 Autocar AT64F. 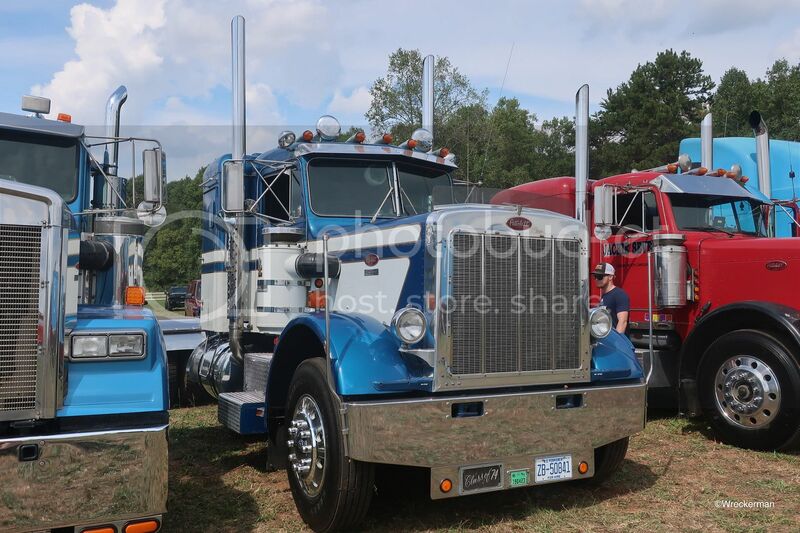 These are very nice looking rigs, I wish more were on the show circuit. 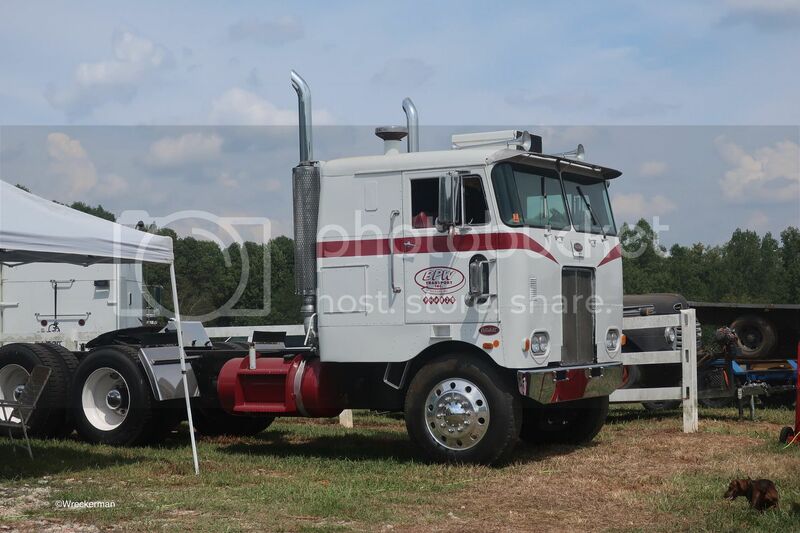 A cool 1963 Kenworth W925. 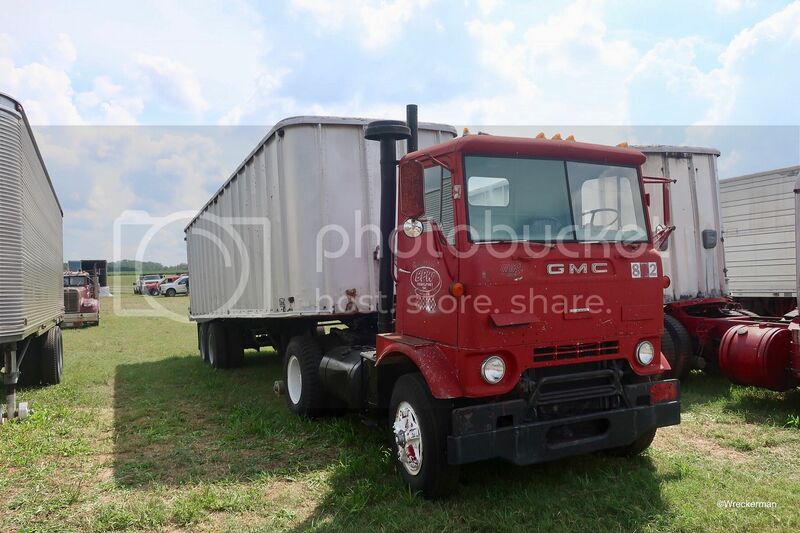 A neat looking GMC General. 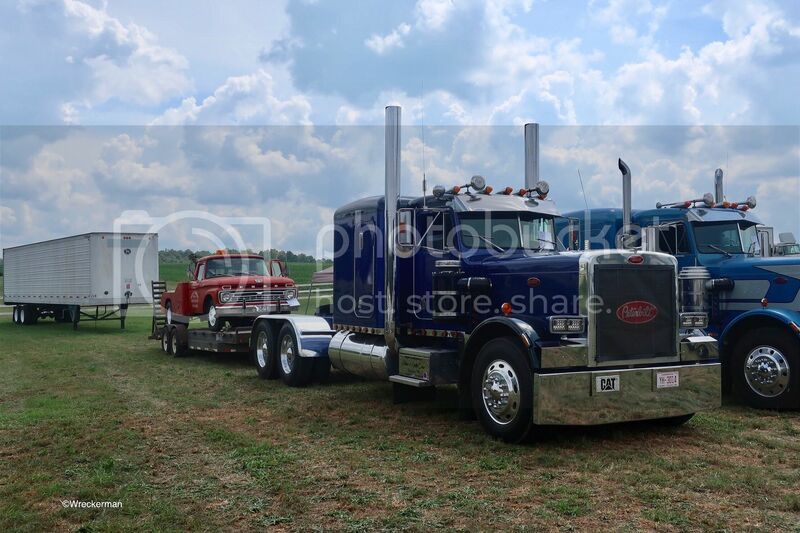 A sharp Peterbilt 359 with a cool Ford wrecker in tow. 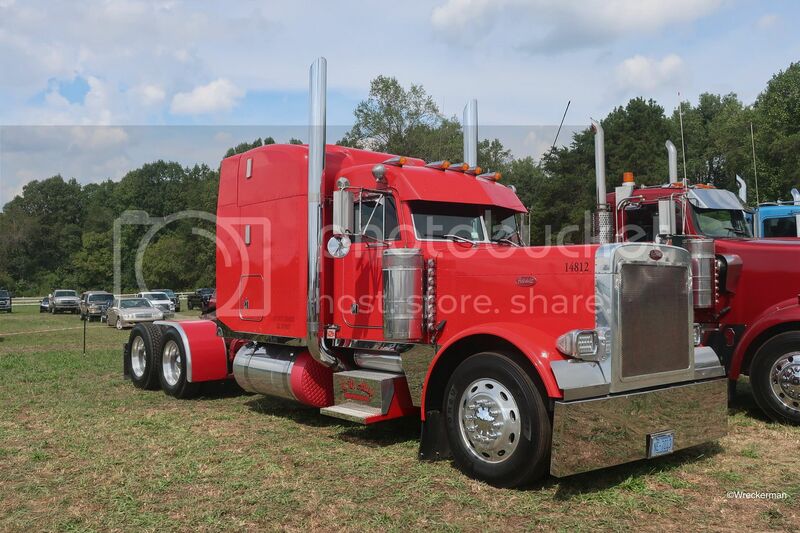 A super nice Peterbilt 359. Have to say, the colors and paint scheme on this one looks great. 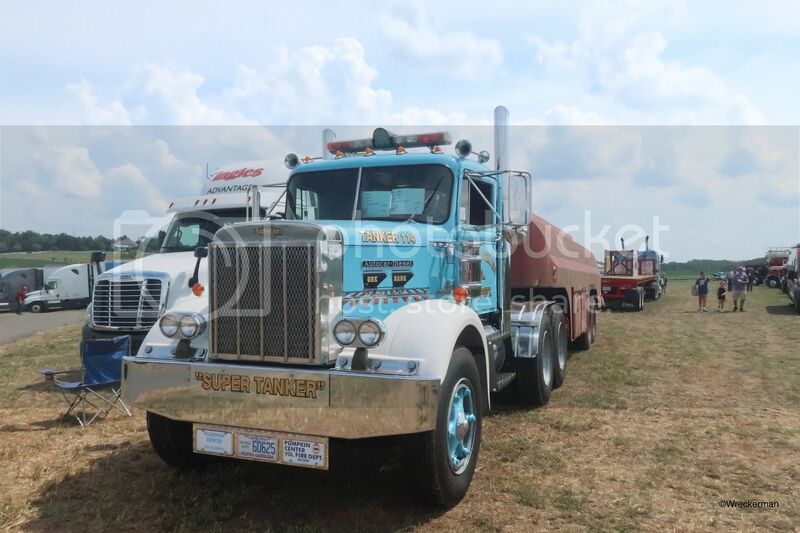 A sharp Peterbilt 389 wrecker. So far, so good, looks like it is a worthy show to take in! 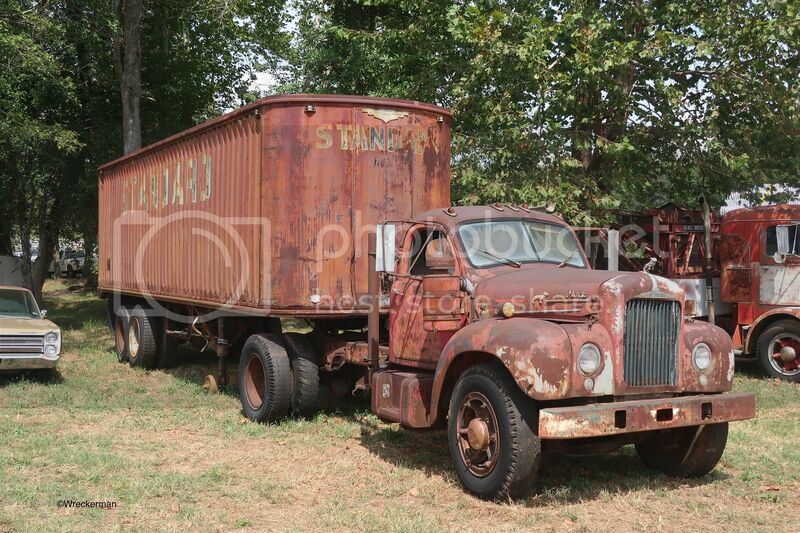 I really like the defunct trucks all done up so well, great way to keep those years alive!! The Hollywood hill series are another cool feature, and then all those other awesome vintage rides, you're right, some very interesting trucks to see! 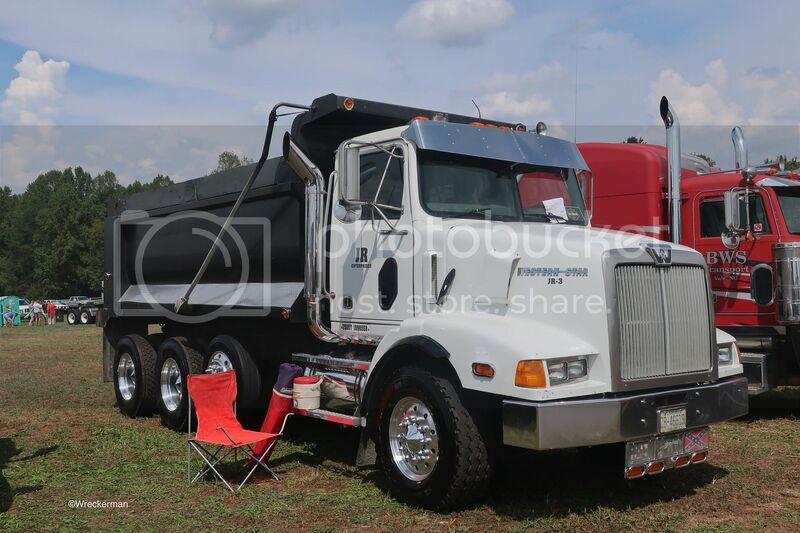 Some cool looking trucks at this show. 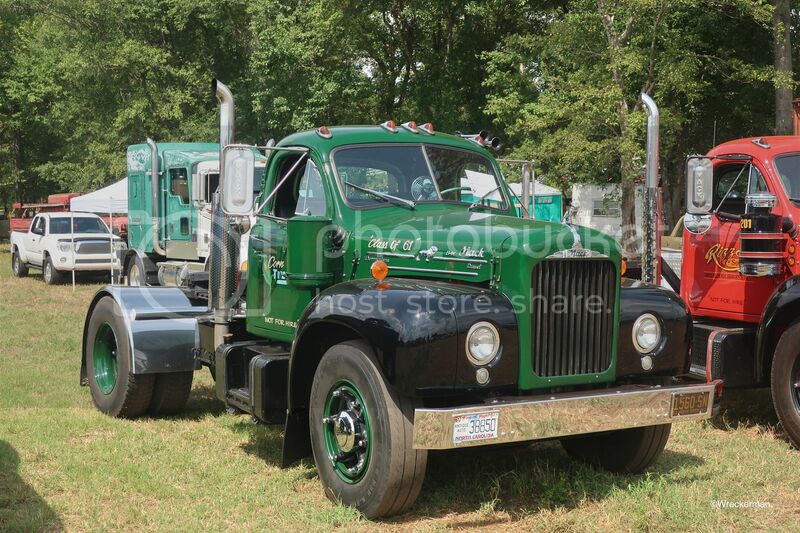 I like all the movie trucks, could do without the Ford but the star here is the sharp GMC General.